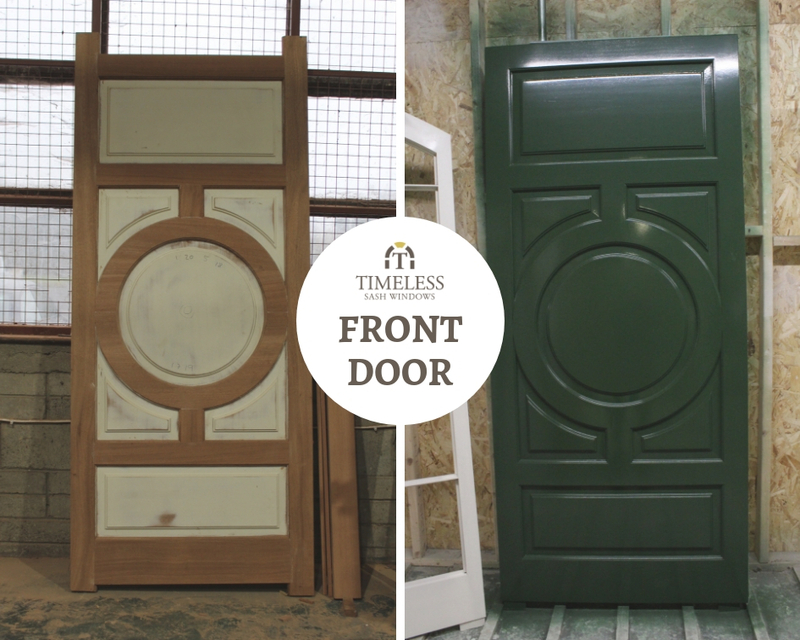 Consider your front door and the definition that it gives to your home. It is not just the colour but also the design that is important. It reflects the era that the property was built as well as the style of the inhabitants. 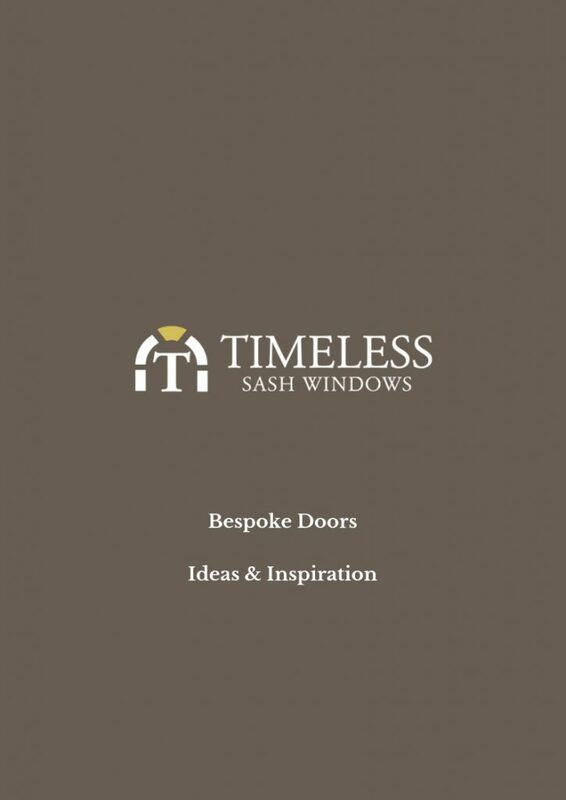 Did you know that Timeless Sash Windows are also experts in traditional period front doors? 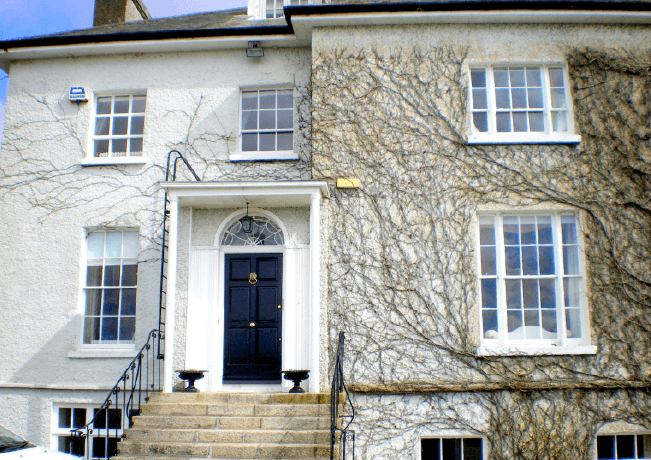 A house might have 30 windows, but it will always have only one front door. This is the entrance to your home, the welcome to you and your guests, and another opportunity to give character to your home. What does your front door say about you? The best way to say hello warmly is to have a well painted door. This tells a wonderful story and gives you a chance to set the scene for your home. Demure or mystical? Do first impressions last or surprise? Hopefully they delight. 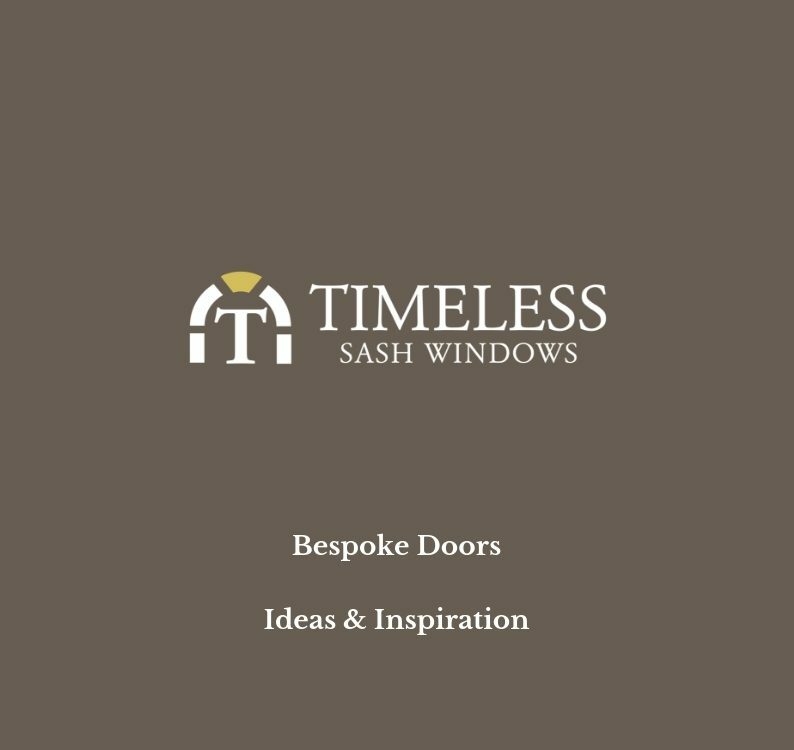 Timeless Sash Windows are specialists in bespoke solid timber, period front doors and have the capabilities to refurbish original doors also. 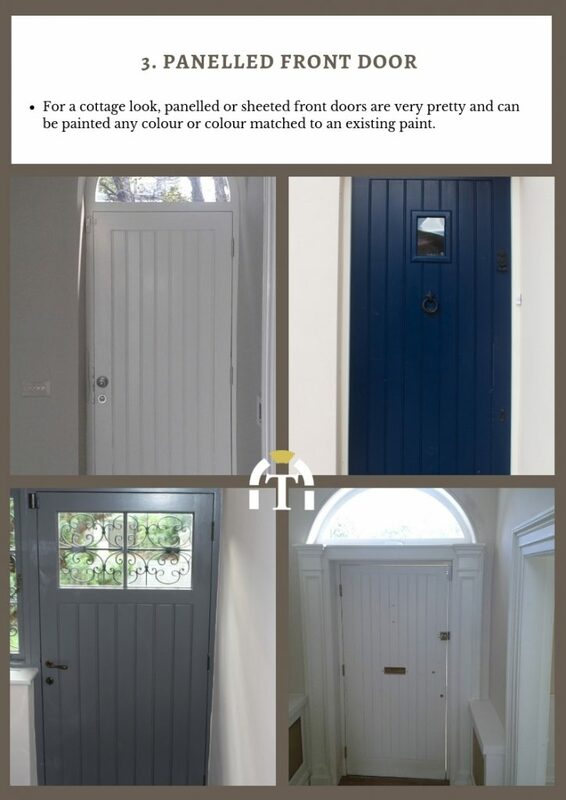 Colour: we can colour match any original paints or offer advice from our huge range of colours in the specialist exterior joinery paint system that we use. The paint guarantee on your new front door is for 7 years. 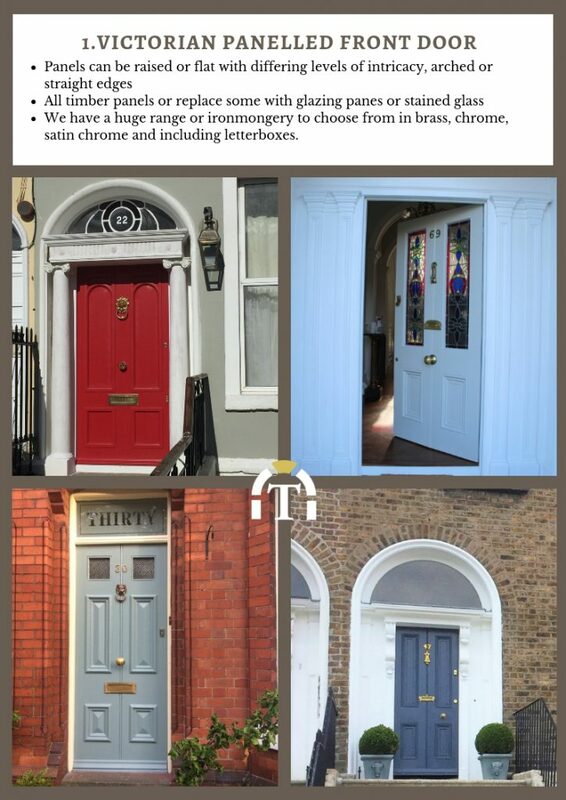 Panels: traditionally Victorian front doors have 4 panels while more recent Georgian doors have 5 panels or more. These panels can be flat or raised, curved or rectangular, vertical or horizontal, with Bollection mouldings or other designs, glazed or solid wood. 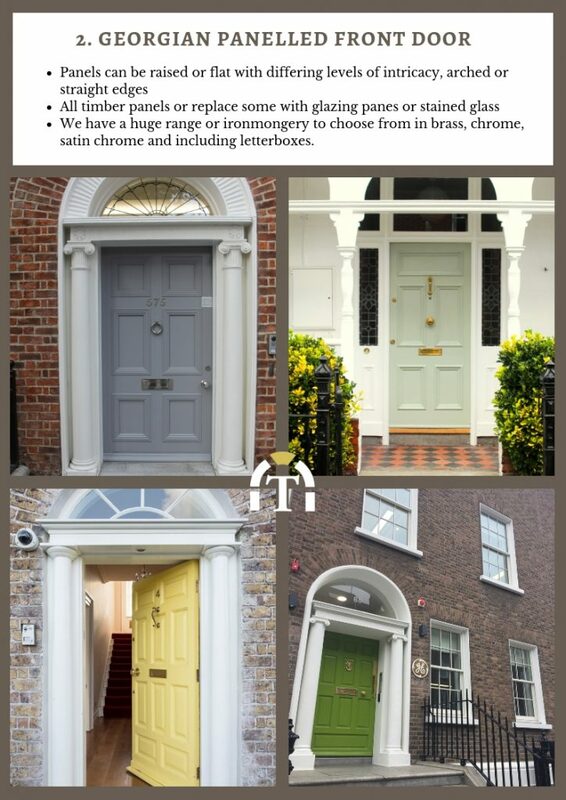 Ironmongery: you should plan whether to include a letterbox, doorknob, knocker, house number or any other ironmongery with the secure locking system of your choice. The ironmongery that we use is of the highest quality and from an extensive range. 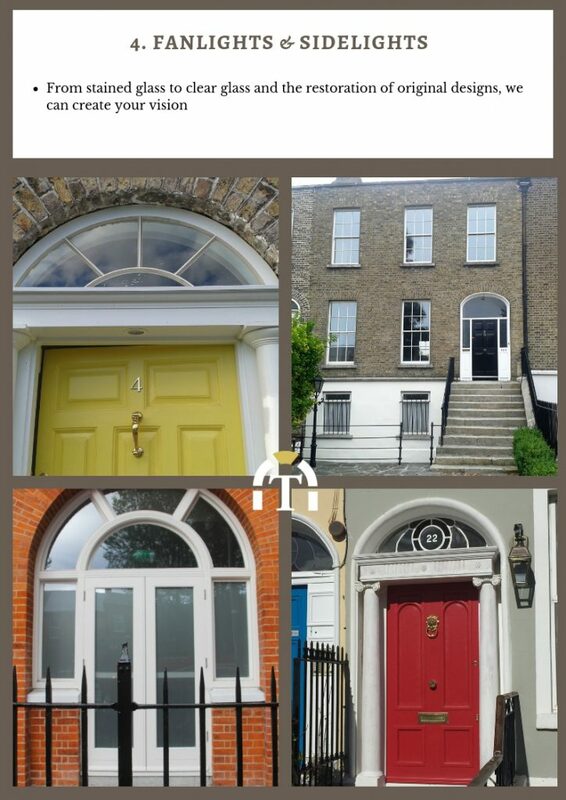 Fanlights: decorative fanlights above the door and sidelights either side of the door provide beautiful design features and a space for frosted, darkened or stained coloured glass to be inserted.